The second trailer for Dreamworks' Turbo, starring Ryan Reynolds as the small snail with big dreams, has arrived online. It does not only showcase some new exciting scenes, but is giving away a lot of details, letting you think you've seen it before. But then again, Hollywood writers are so talented that they can always go away from accusations of being a copy cat. But personally haven't we seen this story before in another animation movie (and I am not gonna drop some titles), but instead of impossibly slow snails it featured machines the could ACTUALLY race? I am much too excited to watch this movie, because, if I am not really mistaken, this will be Ryan Reynolds' second venture to voice acting in a full-length feature film. The first one was in The Croods, another Dreamworks animation film where he played the part of Guy (and I am not going to spoil you with details). 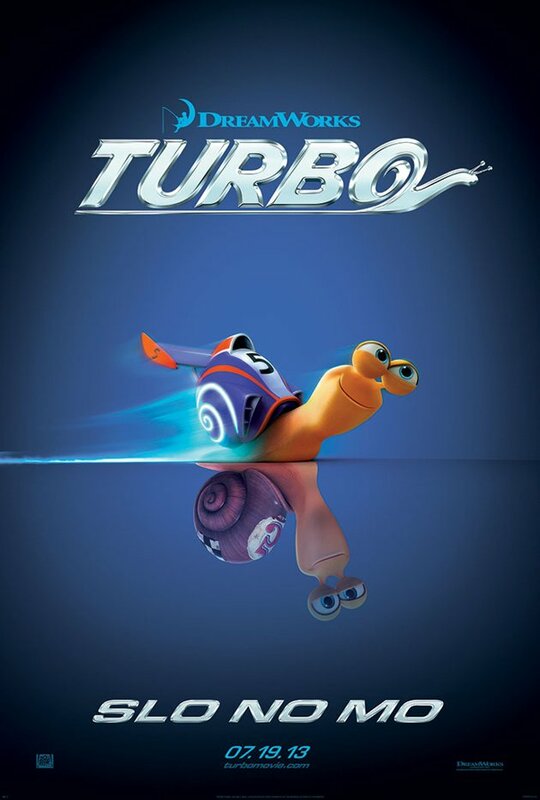 Turbo will hit theaters on July 17, 2013.